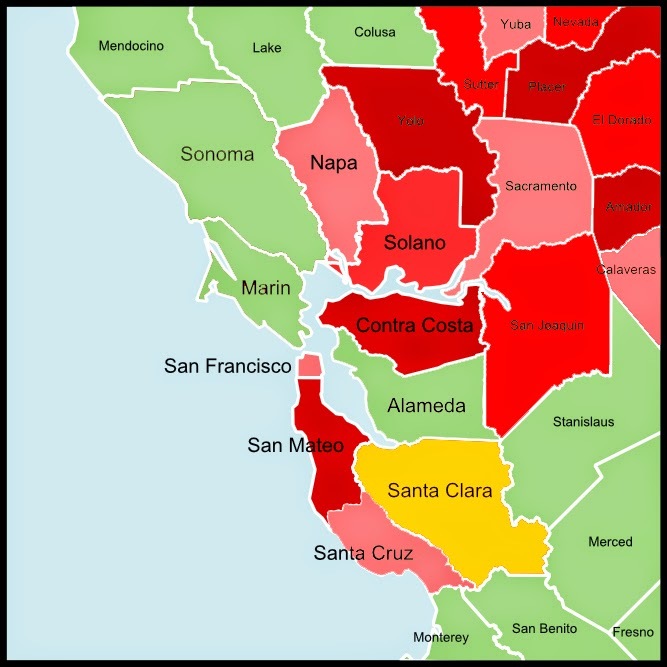 So far we have covered most of the bridges in central California except for some counties along the coast (in green on the map below). 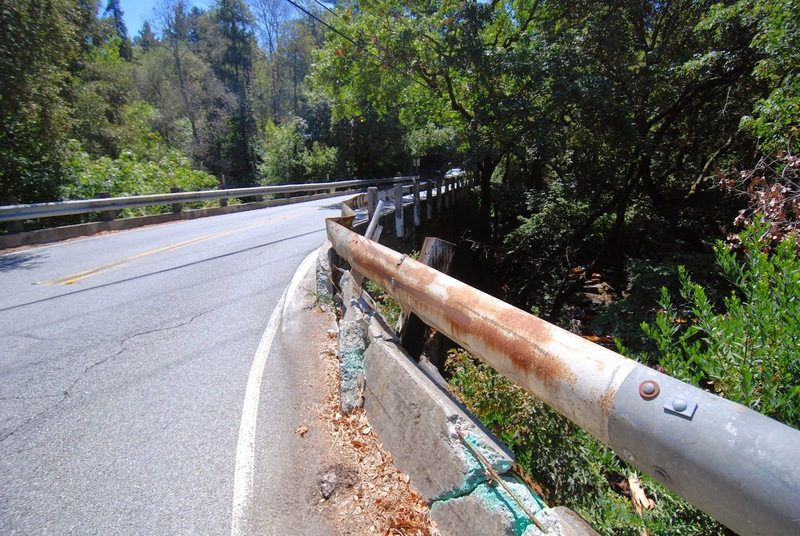 We are going to spend the next few days looking at bridges in Santa Clara County. 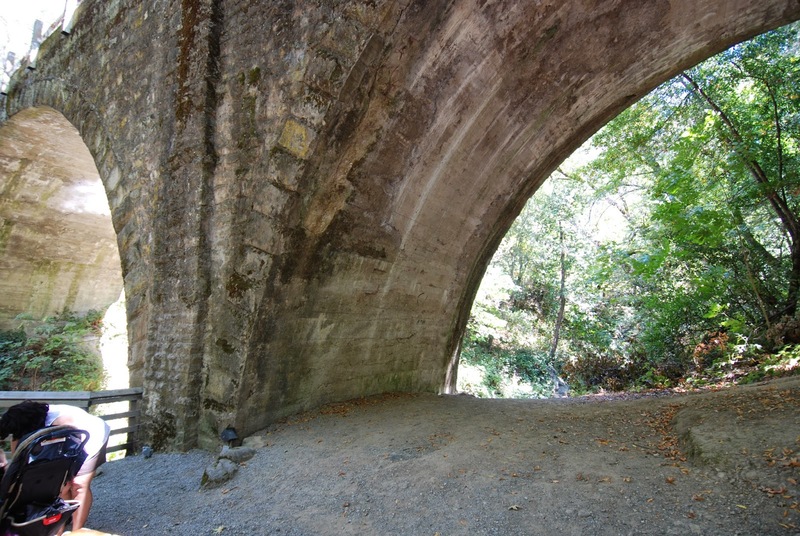 The Saratoga Creek Bridge (37-0074) is a stone masonry multi-span arch that was built in 1902 but has a lot of problems. The bridge carries a narrow road (State Route 9) on a curve and so people are continually driving into the barrier rail. I visited the bridge several years ago to evaluate it's seismic vulnerability. It's over the Saratoga Creek Picnic Resort, which hosts extended families celebrating major events (see top photo). We had a meeting to discuss what to do about this bridge. 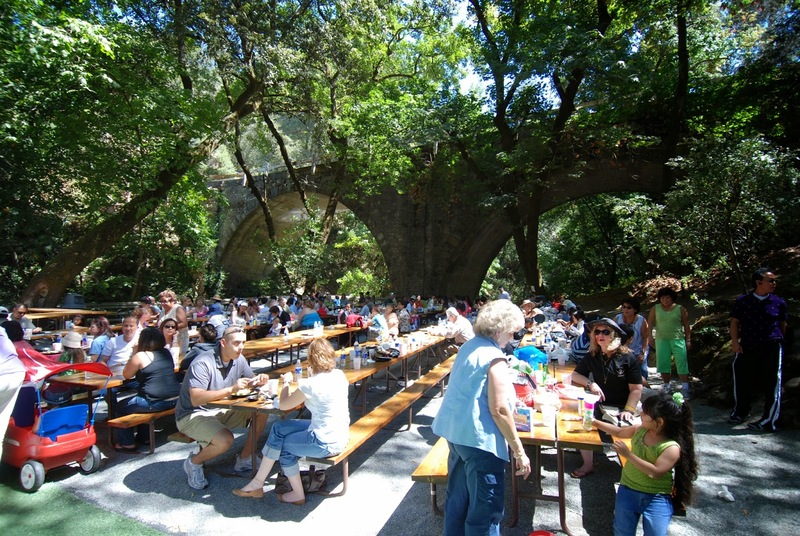 I said that since the bridge had survived the 1906 San Francisco earthquake and the 1989 Loma Prieta earthquake, it would probably survive the next large earthquake. Then another engineer said how the bridge was nothing but a couple of tall, unstable walls with some dirt between them and I realized that he was right! Santa Clara County, California Bridges: State Route 9 Bridge across Saratoga Creek (1) by Mark Yashinsky is licensed under a Creative Commons Attribution-NonCommercial-NoDerivatives 4.0 International License. It's hard to be sure from the photos, but there's probably a lot of concrete between the spandrel walls, to stabilise the arch barrels.